You won’t want to miss these German brews. To me, no beer says “autumn” like an Oktoberfest-style lager. The name may seem like a rather obvious connection, but it actually has to do more with the beer itself: It’s a slightly darker, slightly heartier quaff for when the days start getting shorter and there’s a bit of a chill in the air. If you’re a fan of the style like me, or anxious to experience its charms for the first time, you have several options to choose from, between local breweries and imports from Germany. “It’s great for the fall because they’re not really light – you can expect that they have a bit more substance. 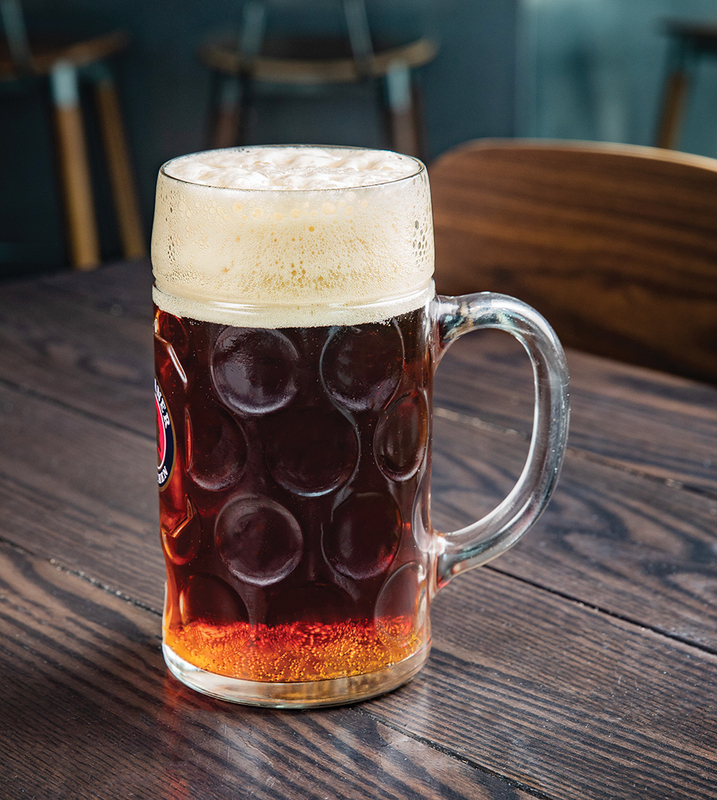 They’re like a transitional beer,” says Jochen Fahr, whose eponymous brewery in Turner Valley specializes in making traditional German styles here in Alberta. The style is also known as marzenbier, which is a reference to when Oktoberfest beers were traditionall brewed (“Marzen” is the German word for March). It dates back to the 1500s. It was a time before refrigeration, but also before the discovery of bacteria: People knew beer brewed in the summer would go bad, they just didn’t know why. As a result, brewers ramped up production in March so they would have enough beer to last until the fall. Fahr is calling his interpretation of the style Oktoberfest. In later years, Marzen became the dominant beer served at Munich’s Oktoberfest, which is how the style picked up its autumnal name – though in Germany, only a handful of breweries within the city limits are allowed to use the Oktoberfest appellation. 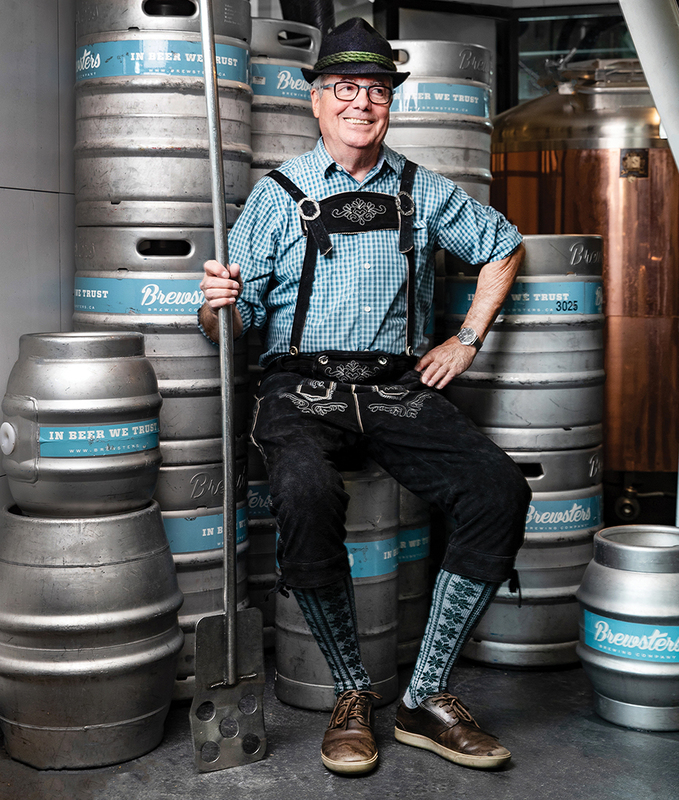 Brewsters Brewing Company has made a tasty and reliable Oktoberfest-style beer for several years, available at its 11 Alberta brewpubs and for sale in bottles at liquor stores. This year is no exception, but there’s an extra treat for customers in the Edmonton area – a special 2,000-litre batch made in March in accordance with tradition. “We socked it away,” says head brewer Matt Cockle. The beer is expected to clock in at about six per cent alcohol, and will be available on tap at Brewsters Edmonton locations as well as at some local growler bars. “It’s crisp, and there’s a little more flavour than your typical pale yellow lager. It’s breadier and more biscuity,” Cockle says. If you want to try one of the best examples from Germany, look for Ayinger Oktober Fest-Marzen at stores like Sherbrooke Liquor and Keg n Cork Liquor Company. It’s rich and malty with notes of toasted bread crusts, a hint of plum, honey sweetness and a crisp finish. Keep an eye out for Paulaner Oktoberfest, too. Shifting back to local offerings, Blind Enthusiasm Brewing, which isn’t hung up on adhering to strict style guidelines, is bringing back its OKT lager this fall. It’s an enjoyable take on the style, with a satisfying dry finish. More broadly speaking, Oktoberfest is a good time to explore all kinds of German styles. Town Square Brewing is reprising the rauchbier (smoked beer) that was available at its taproom last fall.